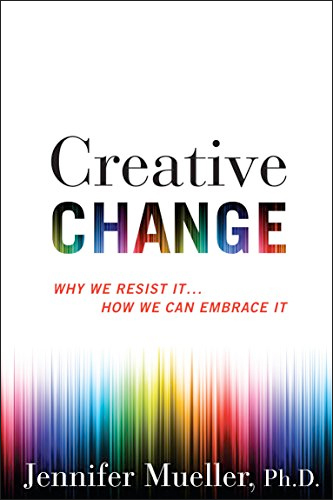 Author Jennifer Mueller explains how to embrace creativity. Knowledge@Wharton: Are leaders scared at times to bring creative ideas forward? Jennifer Mueller: I would say yes and that it’s not their fault. We’re finding the reason why is because of how organizations are structured. Leaders are trained with what we have found to be a certain mindset, a certain way of believing good decision-making happens. What we’ve found is that merely putting them in that role of having the responsibility to allocate resources makes them want to make correct, accurate, good decisions. This sounds all reasonable. They also want to know which creative ideas are the best and how to implement them. These are the big concerns that people tend to have in organizations when they care about making these great decisions. But how do you know? Creative ideas don’t have metrics. They haven’t been around for a while. You might not know anybody that’s been using them. What ends up happening is, you get a creative idea, it has weird metrics, you don’t really know much about it, and it doesn’t allow a decision-maker to make a correct decision. They don’t have the data. Knowledge@Wharton: Sometimes these biases that happen in the workplace tend to be unknown, correct? Mueller: That’s right. People and managers have been trained how to manage change, and that’s great. 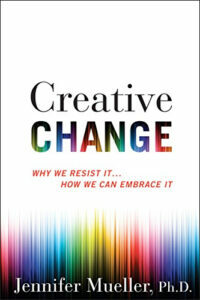 But those very best practices for managing change don’t work or go awry when you have creativity in the mix. Creativity is just a different animal because the psychology around creativity and how you recognize it is different. The fundamental reason why is that there’s this unknowability that you have. Calculating risk is a wasted exercise. ROI? What does that even mean? Knowledge@Wharton: Is this an issue throughout society, not just the corporate world? Mueller: Yes. I call it the how/best mindset. This is a mindset we use as consumers. This is a mindset we use in many aspects of our lives to make decisions quickly and efficiently. We want to know which is the best one, and we want to know how to implement it and use it. It’s also how we teach our students in our classes with multiple-choice tests and right answers. What makes this tricky is how this mindset can be really valuable and useful in many aspects of how to make decisions. If this leads us down the wrong path, it opens up opportunity for creativity in our organizations and our lives. Knowledge@Wharton: One of the places where you could see this as a significant issue is Washington, D.C., and the dysfunction that goes on in Capitol Hill. Mueller: That’s right. When I think about this question of Obamacare, like most decision-makers, the Republican Party is in this how/best way of thinking. That means they want the solution that will work, the correct one that can justify to the American people that it will make a difference. The problem is that when you have that, you need metrics. What are the metrics? What would a good metric even look like? The second problem is that the American people also have a how/best mindset of viewing whatever policy the government is going to put in place. They want it to work. They want immediate results, when the reality is that any policy has bugs. Parts of it look great, parts of it don’t. When Obamacare initially launched, the website crashed. Of course it did. That’s normal. That’s just business as usual for any innovator, any entrepreneur. Yet when you evaluate it from this how/best perspective, there’s no tolerance for that reality. It makes it harder for people to actually embrace solutions that are good for them because the solutions ultimately change and iterate and get better. Knowledge@Wharton: Is there potential that we’re going to see a shift in this in the future? Mueller: I think part of what I’m hoping is the realization that this is a new kind of leadership skill. We have been training leaders like they can know answers. And if you know answers, you’re a good leader. There’s another way to think, which is that leaders don’t have to know the answer if they know the process of how to get the answer. If they’re curious. If they start asking questions. If they just kind of let the air in a little bit to say, “You know, we don’t need to always know.” Sometimes you don’t. Sometimes you have to experiment. Failure is what they’re supposed to be doing. It’s actually the thing that you want to seek because then you could learn and make the kind of changes to improve. Knowledge@Wharton: Is this a generational issue? Is there a difference in the acceptance of creativity with millennials compared with the baby boomer generation? We think younger people should embrace creativity more. What I’m seeing is that we have inculcated this how/best way of thinking. You have to be correct. There’s one best solution. You want to be accurate. If you’re not, you’re a failure. This kind of mindset is leading us down not only to where our leaders are not being able to see value in the new, because they’re so focused on making correct decisions, but our young people, too. Knowledge@Wharton: It’s interesting because we’re starting to see more of a push towards creativity in early education. Mueller: It’s tough in education because when you’re a teacher, you’re focusing on helping them learn what you know and staying within the bounds of what you know. In part, because that’s how you can fairly grade them. Students don’t like ambiguity. Ambiguity means there’s a correct answer, but you don’t know what it is. No one likes it. That’s what I think people have believed creativity is. It’s ambiguous. There’s a correct answer, we just don’t know. Creativity isn’t ambiguous. It’s uncertain. Nobody knows the answer, not just the teacher. That makes it very hard to grade fairly and to justify why you’re going to give this child an A and not this child. I do think it’s coming in, but I think the key skill that matters is helping kids learn how to change their minds — that there’s not one best solution. That there are many perspectives and possible ways to see the same problem. I feel like that’s the critical component that can be integrated into the way we educate students and certainly our executives. Knowledge@Wharton: Obviously, part of that has to be the teachers, correct? Mueller: Yes. I think there’s been a lot of emphasis on diminishing ambiguity, which I think is a good goal, but not necessarily this focus on uncertainty is OK. Uncertainty is not ambiguity. Uncertainty means you can’t know. The great thing about uncertainty is that you can feel hopeful about uncertainty. That science project that you put together and don’t know if it’s going to work — it’s not ambiguity. There’s not a correct answer out there that somebody knows and you missed. It’s just something no one could tell you about. There could be hope around that, and there could also be a lot of anxiety. When you get out your grading rubric, all of a sudden that anxiety becomes really palpable. That’s the challenge to face. Knowledge@Wharton: Going away from schools and back to business, is there a definite link between this lack of creativity and loss of productivity or gross domestic product? Mueller: I think it’s going to be more and more prominent. As the world gets bigger and faster, there’s more need for our how/best thinking because it allows us to organize efficiently. You may have heard the term best practices? Well, I hear them more and more. When you think about best practices, what that means is don’t change. What that means is do what everybody else is doing. What that means is that you can justify your decision even if it fails because it was a best practice somewhere else, so, it must have been in the implementation that it didn’t work. It’s that kind of reliance on these ways of thinking to help justify our decisions that will make it very hard for us to stop just running on our treadmills and instead go in directions that will ultimately sustain us. Knowledge@Wharton: One of the groups mentioned in the book is activists. When I think of an activist, I think of somebody who’s trying to break away from the establishment, to have creativity, to bring forth new ideas. But it’s not necessarily the case, correct? Mueller: Part of what I’m saying is that not all changes are creative. There are changes where you can operate within business as usual but cut costs or do more of what you’ve been doing before. These kinds of changes are all consistent with your beliefs about your company and how you do business and your strategy. You can be an activist in the context of those changes. But there are the kinds of changes that cut through, and in some ways seem and feel opposite of, what you think your core business is. It’s those kinds of changes that are more creative changes. They can sometimes be very simple. Look at lawyers and online documentation. Even though much of our life is online, you try to buy a house and tell a lawyer, “I want to sign all these documents online,” and their head will explode. They’ll tell you all of the reasons why that’s not good and why you shouldn’t. But part of the reason why is that to them, it would be a creative change. It would be doing the opposite of how they define the process that is key and best practice in their organization. So yes, you can have activists. But just because you’re trying to make change doesn’t mean you’re actually making creative change or change that will differentiate you from what your competitors are doing. Knowledge@Wharton: How do you go about changing your mindset? Mueller: I hope executives can read this book and feel like there’s a little sunshine that can be let in. Meaning that this belief system we have about knowing the answer is something that is just that, a belief system. And it’s not true. The book talks about research by Laura Huang, who is a professor at Wharton now. She finds something miraculous, phenomenal. She finds that if you focus on the metrics, those metrics do not protect profits of new ventures. But if you focus on your gut feel, if you make decisions as a decision-maker using your gut — and in that case, she talks about looking at the characteristics of the founder of the company as being part of how people use their gut feel — people who do that actually make money. They can predict the big successes more so than if they use their metrics. It can be very hard. If you believe that pattern recognition is how you find innovation, you’re already lost. We already know that innovative ideas don’t look like the pattern, by definition. So, pattern recognition is a failing path. Looking at the ROI, looking at these indicators, like crowds, could be messy and buggy because you can buy crowds from India. Furthermore, people can be in a crowd because other people are in the crowd, not because the idea itself is any good. Or the idea could be great but not really well-suited to show a crowd. The Post-it note was initially launched with mass advertising and nobody knew what the heck it was. They showed pictures, said how great it was and got no response, so it almost died an early death. Except the company gave Post-it notes to the administrative staff of the VPs, and the admin staff got addicted to them and started using them. Then the VPs start saying, “Why are our admin staff using them, but we can’t advertise them?” Two VPs got the idea that they’d go to customers and show them the product. That started to jumpstart sales. In other words, some ideas might not be as easy to sell by just showing people a picture or advertising. If you don’t get sales, it doesn’t mean it’s not good. It means it needs to be sold a different way. The metrics can be very misleading. Shift your mindset to focus more on the person’s ingenuity. Can they figure out problems? Are they curious? Are they trying to interpret their failure and figure out what to do next? That kind of thinking is more likely, when you have a creative idea, to yield you the opportunity that you’re seeking. Knowledge@Wharton: If you change the mindset of the human resources in thinking about some of these ideas, it may be able to open up greater opportunities for companies as well. Mueller: I think so. There’s a chapter in the book where I talk about how you can get organizations to let the air in, let the sunshine in. Part of what I see is all checks and no balances for creativity. There’s so many checks on creativity. The number of decision-layers in your company is a huge check on creativity. Sometimes you can have hidden ones. You might have legal, you might have people in manufacturing, you might have people in sales, you might have the steering committee. All those are checks on creativity. It’s not that you don’t want checks. It’s that the more checks you have, the more likelihood you’re not going to see those ideas percolate to the top, even when they’re being generated. It’s understanding both changing your mindset and looking at the structure, because the structure drives the mindset. Part of what I argue is that changing the structure can help change the mindset. Or even if it can’t, it might give opportunity for people in that mindset to make change. You can't legislate innovation. But companies can either actively encourage it or “take whatever creativity exists in an organization and kill it very quickly,” says Kimberly A. Wagner. A new BCG survey shows that corporate innovation works best when workers are part of a separate product development team. As far as new product development is concerned I think the concept of functionality is key to creativity. The concepts of functionality come from Value Engineering. In Value Engineering, a function is the combination of a verb and a noun. So the primary function of a phonograph is to “Play Music”. When phonographs were the state of the art there were harmful functions that limited delivery of the primary function. When the turntable was rotated it created vibration and it wore the disc. Amplifying the signal created noise. The turntable was sensitive to vibration and it would sometimes skip, etc. After phonographs we had tape players. The tape player eliminated many of the harmful functions that limited functionality of the phonograph. It was a different way to “Play Music”. And serendipitously, the tape player now made it possible for music to be portable. It is unlikely that anyone would have asked for a portable phonograph. After tape players there were CD players. Even move portable than the tape player and with better, digital, fidelity. But to take all your music with you you had to carry a box full of CD’s. This limited the primary function as well. So, now we have iPods. Very small, totally portable, almost perfect fidelity. My contention is that consumers don’t care about the thing. They care about the functionality that the thing delivers. Phonograph, tape player, CD player, iPod are all means to “Play Music”. When a technology comes along that eliminates fundamental limitations in functionality, a paradigm shift occurs. Now there are only so many verbs and nouns in the English language. So, in one sense there are very few truly new products. Only better and better ways to deliver functionality. To be creative in product development, focus on how functionality is delivered and what superior alternative ways could I deliver functionality. Outstanding article on Creativity . 10 Mental Blocks for Creative Thinking? Whether you’re trying to solve a tough problem, start a business, get attention for that business or write an interesting article, creative thinking is crucial. The process boils down to changing your perspective and seeing things differently than you currently do. People like to call this “thinking outside of the box,” which is the wrong way to look at it. Just like Neo needed to understand that “there is no spoon” in the film The Matrix, you need to realize “there is no box” to step outside of. You create your own imaginary boxes simply by living life and accepting certain things as “real” when they are just as illusory as the beliefs of a paranoid delusional. The difference is, enough people agree that certain man-made concepts are “real,” so you’re viewed as “normal.” This is good for society overall, but it’s that sort of unquestioning consensus that inhibits your natural creative abilities. So, rather than looking for ways to inspire creativity, you should just realize the truth. You’re already capable of creative thinking at all times, but you have to strip away the imaginary mental blocks (or boxes) that you’ve picked up along the way to wherever you are today. I like to keep this list of 10 common ways we suppress our natural creative abilities nearby when I get stuck. It helps me realize that the barriers to a good idea are truly all in my head. One of the worst aspects of formal education is the focus on the correct answer to a particular question or problem. While this approach helps us function in society, it hurts creative thinking because real-life issues are ambiguous. There’s often more than one “correct” answer, and the second one you come up with might be better than the first. Many of the following mental blocks can be turned around to reveal ways to find more than one answer to any given problem. Try reframing the issue in several different ways in order to prompt different answers, and embrace answering inherently ambiguous questions in several different ways. Not only is real life ambiguous, it’s often illogical to the point of madness. While critical thinking skills based on logic are one of our main strengths in evaluating the feasibility of a creative idea, it’s often the enemy of truly innovative thoughts in the first place. One of the best ways to escape the constraints of your own logical mind is to thinkmetaphorically. One of the reasons why metaphors work so well in communications is that we accept them as true without thinking about it. When you realize that “truth” is often symbolic, you’ll often find that you are actually free to come up with alternatives. One way to view creative thinking is to look at it as a destructive force. You’re tearing away the often arbitrary rules that others have set for you, and asking either “why” or “why not” whenever confronted with the way “everyone” does things. This is easier said than done, since people will often defend the rules they follow even in the face of evidence that the rule doesn’t work. People love to celebrate rebels like Richard Branson, but few seem brave enough to emulate him. Quit worshipping rule breakers and start breaking some rules. Allowing your mind to be at play is perhaps the most effective way to stimulate creative thinking, and yet many people disassociate play from work. These days, the people who can come up with great ideas and solutions are the most economically rewarded, while worker bees are often employed for the benefit of the creative thinkers. You’ve heard the expression “work hard and play hard.” All you have to realize is that they’re the same thing to a creative thinker. Most of what keeps us civilized boils down to conformity, consistency, shared values, and yes, thinking about things the same way everyone else does. There’s nothing wrong with that necessarily, but if you can mentally accept that it’s actually nothing more than groupthink that helps a society function, you can then give yourself permission to turn everything that’s accepted upside down and shake out the illusions. Leaders from Egyptian pharaohs to Chinese emperors and European royalty have consulted with fools, or court jesters, when faced with tough problems. The persona of the fool allowed the truth to be told, without the usual ramifications that might come with speaking blasphemy or challenging ingrained social conventions. Give yourself permission to be a fool and see things for what they really are. In that sense, awakening your own creativity is similar to the path reported by those who seek spiritual enlightenment. You’re already enlightened, just like you’re already creative, but you have to strip away all of your delusions before you can see it. Acknowledge that you’re inherently creative, and then start tearing down the other barriers you’ve allowed to be created in your mind(Source: copybloggerWords that work).